A day at Forillon National Park is a great opportunity for hiking. Not to be missed is the remarkable Bout du Monde lookout and the breathtaking scenery of Cap-Bon-Ami with cliffs that fall to the sea! Watch whales, paddle with seals, bike, or enjoy the beach at Penouille, including interpretation activities to discover fauna and the territory's history. A day in Forillon is so much more than enjoying the park. Discover the nearby lighthouses, museums, and interpretive centres that tell the story of the Micmacs, cod fishing and the cradle of Canada. 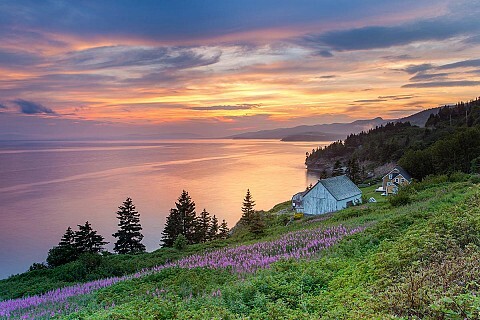 Visit the town of Gaspé and end your day by enjoying a good meal in one of the restaurants. In short, a day in Forillon is a day of exciting discoveries!